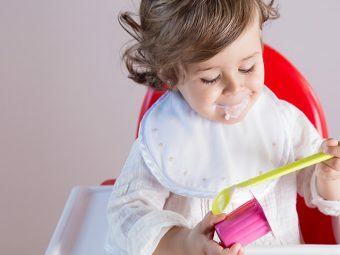 Is your toddler a fussy eater? 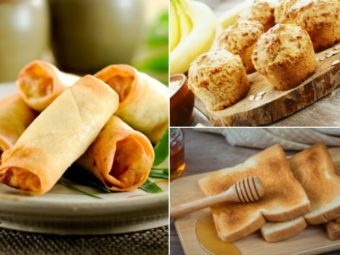 Are you looking for innovative ways to turn her favorite food into a healthy delicacy? Well, what you need is to cook pasta with a twist! 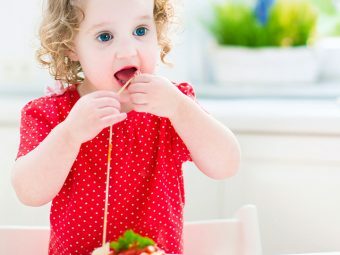 Pasta is a favorite among toddlers and young children. And why not! It tastes yummy, you’ll have to agree! The best thing about this Italian delicacy is that you can fill it with healthy ingredients and turn it into a wholesome meal. So, ready to do the tango with pasta for toddlers? Let’s cook some delicious and healthy pasta recipes for toddlers! Yes, baked pasta is a thing! And it is sure to be a hit with your fussy eater. Follow the directions given on the pasta package and cook it accordingly. Mix the cooked pasta with part of the mozzarella cheese and the other ingredients in a casserole dish. Sprinkle the remaining cheese and bake for 30 minutes. Who doesn’t love chicken pasta? If you are a vegetarian, you can use tofu instead of chicken. This pasta salad recipe for toddlers is definitely a winner among the list. Cook pasta for 8-10 minutes. Add 1 Tbsp oil and fry the chicken. Add the chicken to the pasta. Now heat the remaining oil and sauté the green onion. Next, add the veggies and stir-fry until crisp. Add the veggies to with the chicken and pasta. Add soy sauce and sesame oil over the pasta mix and toss. You can serve this dish either cold or warm. Here’s another pasta recipe that’s sure to tickle your toddler’s taste buds! Mix both the broth and ginger in a pot and bring to boil. In a different pot, heat lightly salted water and bring to boil. Next, add the pasta and cook for 4-5 minutes. Add the chicken, scallions and sesame oil to the broth and simmer for 5 minutes. Now put the noodles in serving bowls and add the hot broth and vegetables. Macaroni and cheese – now that’s a match made in heaven! Cook the macaroni for 8 to 10 minutes and drain the water. Heat 2 Tbsp oil in a saucepan. Add the flour and make a paste. Then slowly add milk to make a smooth sauce. Now cook for another 5 minutes. Now it’s time to season with salt and pepper. Next, add half of each cheese and mix to a smooth sauce like consistency. Place the pasta in the casserole. Add the cheese sauce and make sure all the pasta is coated with it. Sprinkle breadcrumbs and the remaining cheese on top. Now bake for 20 minutes. How would you like to feed your toddler some spinach? With this pasta recipe for toddlers, you can do just that! Wash the spinach and cook it in water. Now melt some butter in a pan and sauté the spinach. Next, add the milk and cheeses and chop finely. 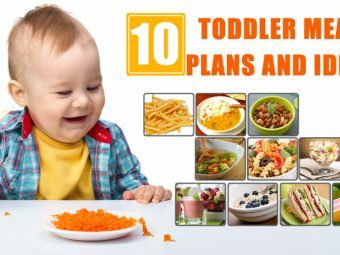 Do you want to help improve your toddler’s relation with food? Try interesting shapes and colors! Steam the carrots for 15 to 20 minutes until they are tender. Heat the butter and then add the chopped tomatoes. Now, remove from heat and add the cheese. Next, mash the cooked carrots and blend with tomato and cheese mixture. Finally add the cooked pasta stars. You got to try this recipe! Not just your toddler, you too will love it for sure! Pour some olive oil in a pan. Next, gently fry carrots, celery and garlic. Now add the chickpeas, rosemary, tomato, stock cube, chili, and water. Simmer until the chickpeas and carrots are slightly soft. Mix the cooked pasta and drizzle some olive oil, pepper, grated cheese. Repeat after us ‘fish is good for my baby’! Yes, with this recipe you can give your toddler the best of two worlds – The taste of pasta with the goodness of salmon! Cook the pasta according to instructions given on the package. Add the butter and chopped onions. Pour the water and cook until tender. Next mix the mustard powder, cream cheese and grated cheddar. Now cook for about 5-7 minutes. Now you need to add a tsp corn flour and wheat flour along with cold water, stirring continuously. Add the salmon and cook for another 10-11 minutes. Mix the salmon sauce and pasta. This special recipe is geared up to suit your toddler’s developing palate. Pour some oil into the pan. Now add water and cook until cooked. Next, add the chopped tomatoes, beef stock, tomato puree and a little black pepper. Finally, sprinkle oregano and add chunks of carrot, and bring the mixture to boil. Add the beef mince and cook till the beef is fully cooked. Mix corn flour and cook for another 4 minutes. Serve the cooked spaghetti with Bolognese sauce. Let your toddler’s imagination run free with this next recipe! Cook the pasta until tender. Cook the onion and garlic in olive oil until they are soft. Next add tomatoes, tomato puree, basil and a little pepper. Next, steam the broccoli and add the tomato sauce. Add butter and flour. Mix for about two minutes. Now add milk. Don’t forget to keep stirring. Take the pan off the heat once the milk starts simmering. Mix the pasta and tomato sauce. Now pour the mix in a microwave proof dish. Garnish with cheese sauce and grated cheese. Hope you liked these simple pasta recipes for toddlers. Making pasta is always a lot of fun! Involve your toddler in the cooking process. This will help her develop a taste for different foods and flavors. But yes, you may have to deal with an extra messy kitchen! 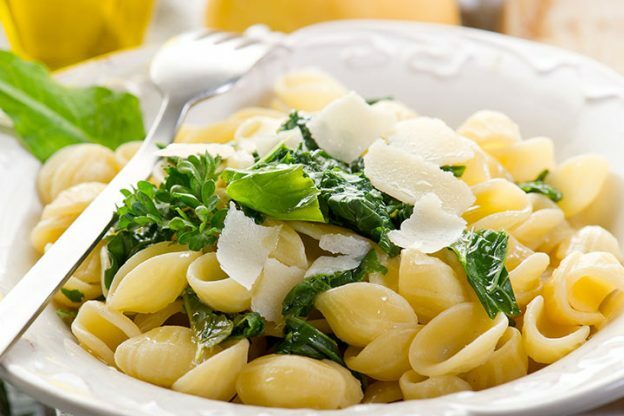 So, give your toddler a glimpse of Italian cuisine with these tasty pasta recipes. And don’t forget to share your pasta recipe with us in the comments section below! 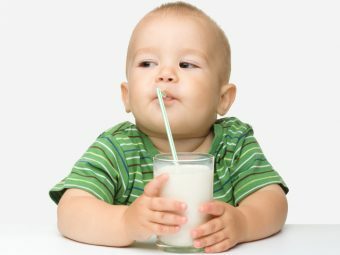 Is It Safe To Switch To Soy Milk For Toddlers?